We are committed to offering our guests the best vacation “experience” in the industry. Our belief in the quality of our products is so strong we offer a 100% Satisfaction Guarantee. If you are dissatisfied with any of our tours or attractions, please contact us and we will refund your money. Terms and conditions apply and are listed below. Tickets that have not been used are non-refundable; however, they remain valid for twelve (12) months from the date of purchase. Due to limited seating availability, date and time specific tickets are non-refundable if not used on the reservation date (no show). You may reschedule up to 24 hours in advance of tour time by calling the location tour and attraction operation directly. 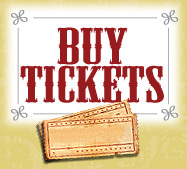 Promotional tickets may be used any time within the following twelve (12) months, from the date of purchase. FREE or promotional “ADD-ONs” have no monetary value and are not refundable. If you purchased a discounted tour or attraction package containing two or more products and were dissatisfied with one of the products we will refund that portion of the package at the discounted attraction rate under our 100% Satisfaction Guarantee. In the event of an unexpected tour or attraction closure due to severe weather or other unforeseen occurrence, we will refund your money or you may use your ticket(s) within the next twelve (12) months. 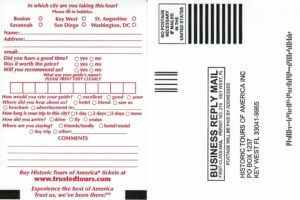 If you have purchased a time & date specific reservation-based tour or attraction please call to reschedule. 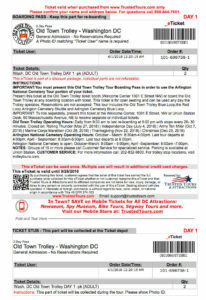 If your eTicket looks like the below and was purchased through our website, Trusted Tours & Attractions website or by phone and you are requesting a refund, click here. If your ticket looks like the below or if you have a voucher from a third party booking site (such as Viator, Expedia, TripAdvisor, etc.) or hotel concierge and you are requesting a refund, click here.